This is a true story based on a repented gangster preaching the word of God and guiding his brotherhood to turn over a new leaf. 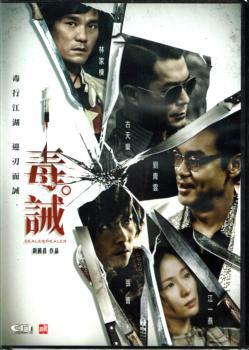 Chen once was the leader of the famous gang “The 13 Tsz Wan Shan”, he lost his family, lovers, brothers and finally ended up imprisoned for his drug abuse and trafficking. After jail, he devoted himself to save the lost fellows and was selected as “The JCI Hong Kong Ten Outstanding Young Persons”. Being respected by the world, Chen is always asked to solve the most difficult situations between evil and good. People give him a nickname “The Fixer”. However, there are two sides of a coin, Chen can work out any problem of others, he does not know how to deal with his personal knot with his love, with whom he has had guilty conscience all his life. Can he fix it eventually?